Gonder is an associate professor in the Department of Biology in Drexel’s College of Arts and Sciences and the director of the Bioko Biodiversity Protection Program and co-founder of the Central African Biodiversity Alliance. Thirteen years of data collected by a team of researchers on the island of Bioko show how ineffective the country’s lax environmental conservation laws were in stemming the growth of illegal hunting. Bioko, part of the nation of Equatorial Guinea, is a volcanic island in the Gulf of Guinea located off the coast of Cameroon in central Africa. Bioko’s tropical coastal and mountain forests are a relatively understudied biodiversity hotspot and home to numerous species of threatened and endangered monkeys at risk from commercial hunting. The team’s full dataset from their long-running study was published for the first time last year in the journal PLOS One. Researchers tallied the types and amounts of bushmeat sold at market in the capital city of Malabo between 1997 and 2010 and measured the increases in relation to the country’s prosperity and other political and legal conditions. With the discovery of offshore oil, the island’s prosperity has increased, and so has demand for the meat. red-eared monkeys and drills, were brought to market. The most abundant species hunted was the Blue Duiker, representing 25% of all carcasses. The legal protections Equatorial Guinea enacted in 2007 to limit hunting and sales of primates were not upheld — and even backfired to the point where bushmeat hunting actually increased. The study was conducted as part of the Bioko Biodiversity Protection Program, a joint venture of Drexel University and the National University of Equatorial Guinea. The program was established in 1998 by Gail Hearn, now a Drexel emeritus professor. 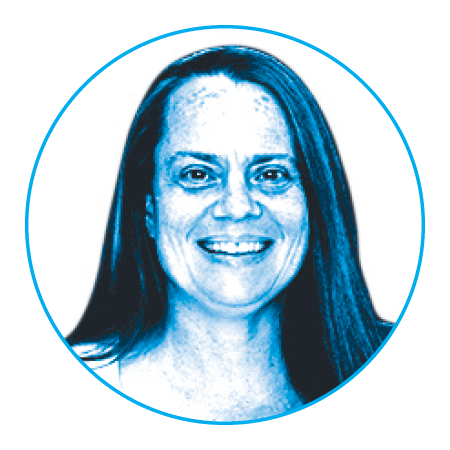 After her retirement in 2014, it was taken over by Associate Professor Mary Katherine Gonder. Drew Cronin, PhD environmental science ’14, was the study’s lead author. 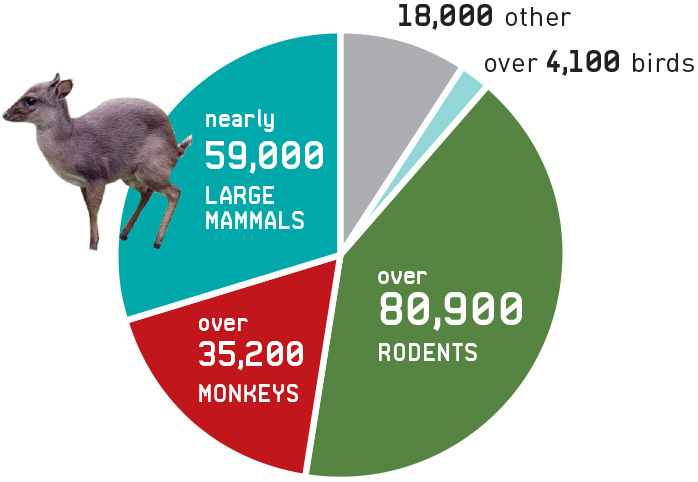 Shown are the total number of animals and primates captured on Bioko overall for bushmeat between 1997 and 2010. 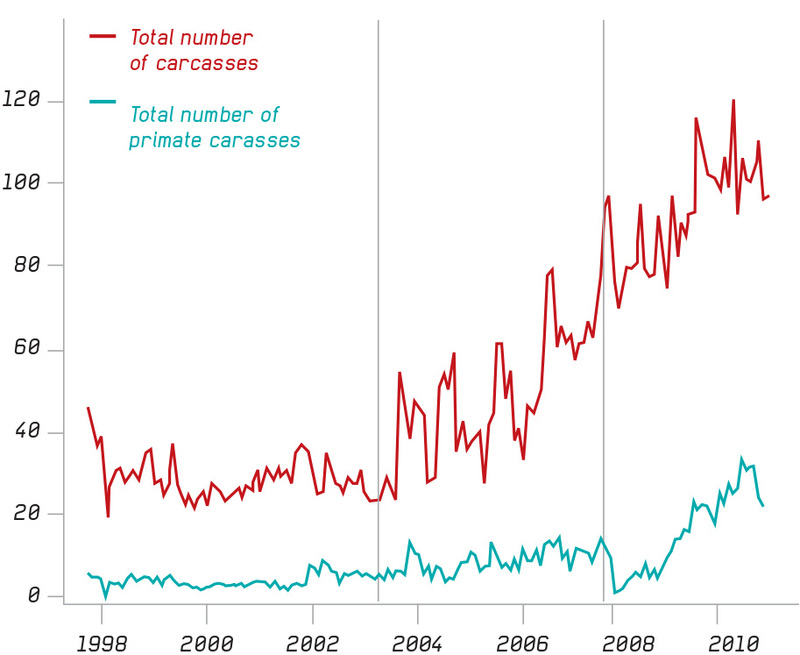 Market growth was consistent over time for overall carcasses, as the mean number of carcasses per market day increased progressively over three periods: 1997–2003, 2003–2008 and 2008–2012. In the later years of the study, endangered monkeys became more frequently hunted. A later study by the team found that all of the island’s monkeys were vulnerable to heavy hunting except Cercopithecus erythrotis (6), Cercopithecus nictitans (5) and Cercopithecus preussi (3), with the Procolobus pennantii (7) being especially vulnerable.